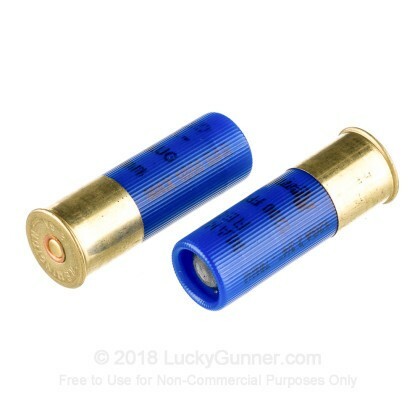 LuckyGunner.com has a live inventory system that removes any out-of-stock items from our website the moment the last unit is ordered. If you see it, we have it in stock and ready to ship. If you place an order before 3 PM EST, your product will ship that same day. If you place an order after 3 PM EST or over the weekend, your product will ship the next business day. If your order isn’t in stock and shipped on time, we will make it right and pay you $100. Remington's Slugger line is designed to achieve better accuracy and flatter trajectories than standand slugs. 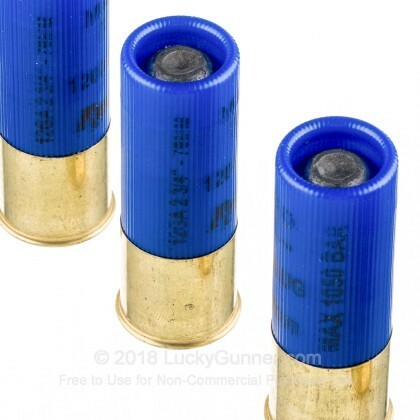 These 12 ga reduced recoil 1oz rifled slugs are slightly over-sized for great smooth-bore shotgun performance resulting in better sealing against the barrel wall for greater accuracy. 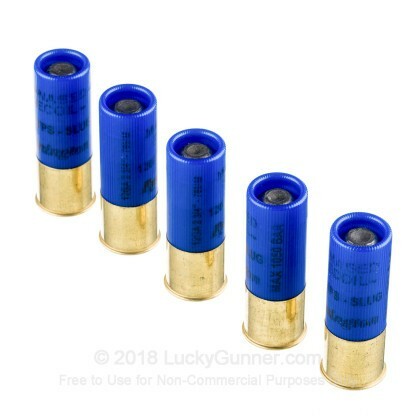 Whether you are shooting for fun, hunting, or establishing good self defense measures, these 12 gauge shot slugs are an excellent choice. 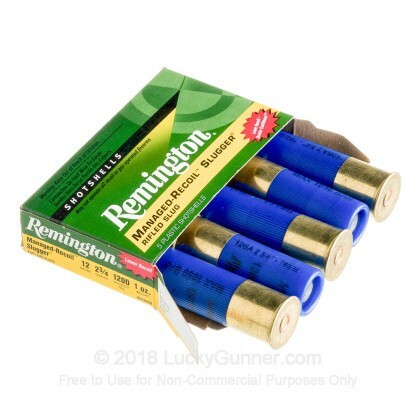 This ammunition is manufactured in Lanoke, Arkansas by Remington which is known for consistent quality that you can rely on. I ordered 250 rounds and have shot several in my cylinder bore pump. Very good accuracy even with regular shotgun bead sight out to about 100 yards. Recoil is not much more than some target loads! Plenty of knockdown power as well. Nothing to complain about with this ammo, and like always great service from Lucky Gunner. This is the hubbys go to gun and this ammo fits the bill PERFECTLY! Having shoulder issues, he is extremely happy with the low recoil and how much easier it is on him. Great rounds, smooth with no issues or duds. Will definitely be back for more when the need arises. LuckyGunner is superior when it comes to quality products, affordable prices, customer service, and super FAST shipping! Thanks to the whole crew for an A+ transaction! Haven't tested the ammo out yet but as usual lucky gunner is fast and reliable. Ordered on a weekend and still got the package in two days. Good rounds with a reduced recoil! will buy again. As always great service and shipping from Lucky Gunner. Thank you for taking the time to submit your thoughts on these rounds. Please include your email address so we can get in touch with you with any follow up questions or to solve any problems that you encountered. We're better when we're able to learn from each other and the entire shooting community thanks you for sharing your experience! Q: Can a rifled slug be used in a smooth bore shotgun? A: Hi Mike. 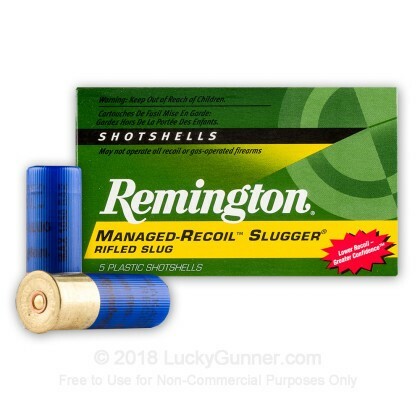 The rifled slugs perform best in a smooth bore. They are not designed to work in any rifled barrel. The weight forward design controls the accuracy of the slug rather than the spin. Rifled shotgun barrels will perform best using the sabot rounds. This will be displayed next to your question. This is where you will receive the answer to your question. Your email address will be kept private and only used to answer your question. Please click here for our current in stock specials on 12 Gauge! 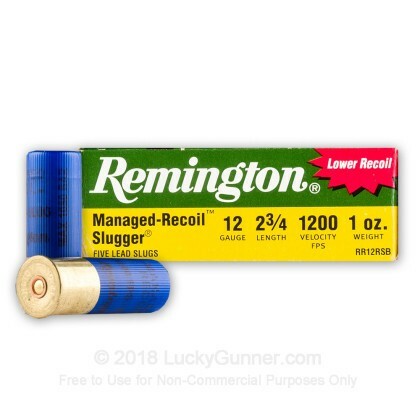 We also have this 12 ga - 2-3/4" 1oz Reduced Recoil Rifled Slug - Remington - 5 Rounds ammo in stock in a smaller quantity. Gunner is simple, and FREE!